General Terms and Conditions for Airports Transfers, Seaports Transfers, Tours Transport, Long Distance Transport. A Customer who uses the services of Mega Taxi , with registered office at 2 Roundstone street, Trowbridge Postal Code: BA148DD, fully accepts these terms and conditions by signing the order or contract, or placing an order online via website. Confirming an order declares explicit consent to these terms and conditions to which the order or shipping contract refers. A Customer who disagrees with these Terms and Conditions is not entitled to enter into any contract with the Company or to place an order through the Company’s website. 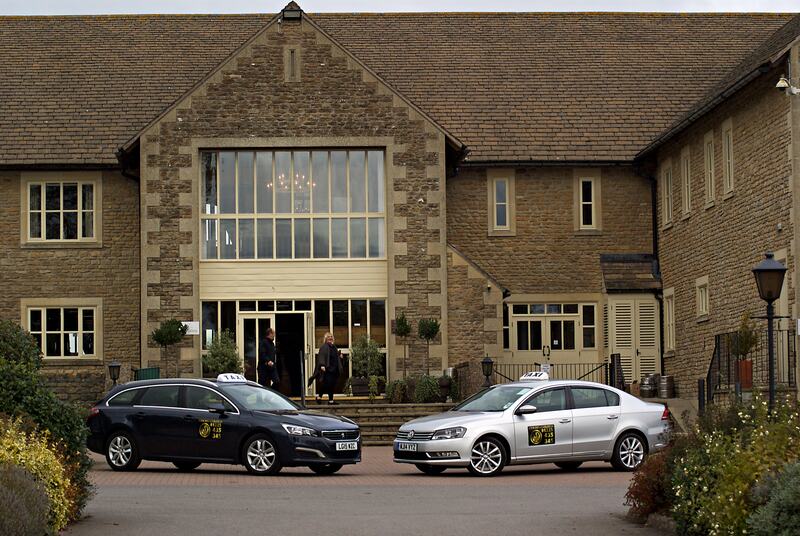 1.1 The Company – the Company is Mega Taxi , with registered office at 2 Roundstone street, Trowbridge Postal Code: BA148DD which provides or arranges transportation and other services based on these business conditions for the Customer. 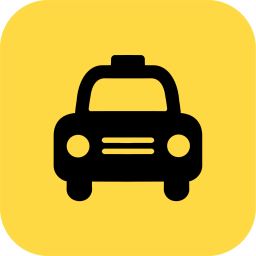 1.5 The Driver– the Driver is an employee of Mega Taxi, or a contractual driver with whom Mega Taxi arranges a transport service. 2.Private Data of Customers and Handling of these Data. 2.5 Customer agrees to use his/her Personal and other Data only subject to strict adherence to the conditions laid down by law for the handling of such Personal and other Data. Guarantee of compensation; liability for damage. 3.2. The Customer takes into consideration that he has no liability claims in these events: •There has been a delay in Transportation due to the Customer or another ordering party (travel agent, hotel, tour operator, etc. ), for example by not arriving at the agreed time at the agreed place. •There has been damage done to the property of the Customer or to his health resulting from a traffic accident not caused by the Company’s driver or an intermediary carrier’s driver, but by another driver, or person. •There has been damage done due to the obliviousness of the Customer or another ordering party (for example, forgetting to put baggage into the trunk or forgetting to unload it, loss of small items or cash during carriage, etc.). 4.Determining the time of commencement of transport. 5.1 We provide all services based on orders from the Customer or other ordering party (hotel, travel agency, excursionist, etc.). Orders can be placed online via our website, reception online service for business clients, by e-mail, by phone. The agreement on the basis of which the provision of services to the Customer is realized arises on the basis of a binding order confirmation. The binding confirmation is a confirmation by e-mail. An acknowledgment of receipt of an order in the system is not considered binding unless it is confirmed by the Company, where the Customer is at the same time advised that the Company’s services can only be used under these Business Terms. 6.1 In cash When paying a transfer or other service in cash, the driver or representative of the Company accepts only British pounds (GBP). 6.2 By credit card If the Customer pays directly to the driver or Company representative, it is possible to make a payment only in GBP. If the Customer pays online in advance, the driver or a representative of the Company is informed of the payment; it is not necessary to print a payment receipt. 6.3 Bank transfer Payment by bank transfer (by invoice) is only possible upon request or when the Company has allowed this payment option exclusively in the case of the particular Customer. The Company may require payment of an advance before the order is executed, otherwise it is entitled to cancel the order. Invoices can only be issued in the following currencies – GBP. 7.Invoice; receipt of payment (advance) For payments made directly to the driver (by credit card or in cash), the driver will issue a receipt on the day of pickup to the Customer . For payments made online via the Company’s website, the Customer will be sent a receipt for the ordered service. The final invoice for the online deposit is issued by the Company upon request. If the Customer pays for an invoice (bank transfer), the invoice is issued by the Company and the prices not iclude VAT as Company is not VAT registered. All listed prices are final. 8.Method of payment for the return journey If a reservation includes a return trip or a greater number of trips, the Customer may pay the total amount either at one time, or pay for each trip separately. The driver will issue a receipt / voucher to the Customer, stating the exact amount paid. 9.Advance payments For orders where a pickup location is outside of Wiltshire, the Company may request a deposit to be paid at least 24 hours before the specified pickup time. In such cases, the Customer’s company will be required to report the deposit and the possible method of payment. If the required deposit is not paid, the Company has the right to cancel the order without a refund. 10.1 Airport, seaport transport. If a Customer wishes to change or cancel his reservation for any reason, he may do so by email or by telephone before leaving – at least twelve hours before pick up time. If the Customer has already paid for the pickup and cancelled the ride in the required time, the Company will return the money to him or the service will not be invoiced, otherwise the Company will charge a 100% cancellation fee equal to the transport price per reservation. . The reason for applying a 100% cancellation fee is to cover all the costs of the ordered and non-shipped transportation from the Company. In case your flight/cruise is delayed and you did not inform Company about your situation our drivers will wait for 1hr 30mins, at no extra charge, from your booked flight/cruise arrival time. After 1hr 30 min there is a fee: 25.00 GBP per hour ( to cover drivers wages and parking fees) In case your flight/cruise is delayed and your flight/cruise arrival time is changed from day time hours (6.00am – 10.00pm) to night time hours (10.01pm – 5.59am) there is night time fee: 30% of transport price. In case your flight/cruise is significantly delayed (more than 3hrs), we might not be able to provide booked service. In such circumstances, we try to find the best possible solution and will offer either a full refund or an option to change the booking for a later time, or an alternative vehicle. Those situations are fully excluded from our compensation scheme. 10.4 Excursions, tours and other services Cancellations must be made at least two hours in advance of the scheduled trip, otherwise the Company will charge a 100% cancellation fee. For larger groups or reservations where a deposit is required, cancellations must be made at least 24 hours prior to commencement, otherwise the Company will charge a 100% cancellation fee equal to the transport price per reservation. The reason for the 100% cancellation fee is to cover all the costs of the already ordered and non-commissioned service on behalf of the Company. 11.Refunds If the Customer cancels a prepaid online service and is entitled to a refund, the money will be automatically returned to the card (or account) that was used to pay the order. Otherwise, any refund claims must be submitted within 30 days in writing or by e-mail, to the address or email address of the Company. Upon expiry of this period, the Customer no longer has any claim for a refund (compensation). 12.Compensation, maximum contractual penalty Claims for damages must be submitted within 30 days in writing or by e-mail, to the address or email address of the Company. Upon expiry of this period, the Customer no longer has the right to claim compensation or any related claim for damages, with respect to the application of the contractual penalty. Any Customer complaint will, however, be properly investigated. Compensation for damage / inconvenience is limited to a maximum amount equal to the transport price per reservation. Damages are totally exempt in instances when, for logistical reasons, a replacement wagon of the same type or the same wagon is provided in another colour and the situation where the damage occurs due to events that the service provider cannot influence, such as natural disasters. Claims for damages in case your flight is significantly delayed (more than 3 hours) are fully excluded from our compensation scheme too. 13.Complaints and the application of the contractual penalty. 13.2 Personal Data, the Customer has a right to a complaint against the Company’s conduct in this matter. The complaint will be sent by the Customer to the address or email address of the Company, which will examine the Customer’s complaint, investigate and take the necessary action both with respect to the complainant and with respect to other Customers. 15.Validity of these Terms and Conditions. These Terms and Conditions are valid for an indefinite period starting from September 30, 2018. In the event of changes to these Terms and Conditions, which are reserved by the Company, the Customer is considered to be bound by the Terms and Conditions in the version valid at the time the contract was signed, or the valid order was sent or placed.